The full details of Kyoto International Manga & Anime Fair 2018 have been released. 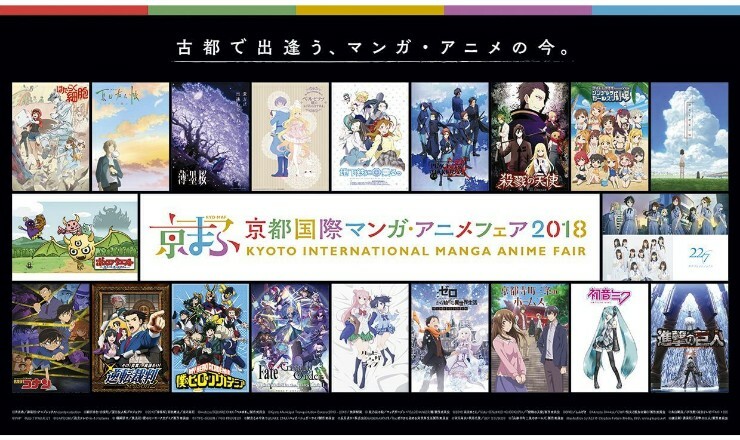 The event will take place on September 15 and 16 where 26 programs will be held across two stages, the Kyou Mafu Stage which you must sign up for a chance to be selected for entry, and the Open Stage which is free for anyone to enter. A line-up cast for popular franchises has also been announced including IDOLM@STER Cinderella Girls Theater season 3, Natsume’s Book of Friends The Movie: Tied to the Temporal World, Re:Zero − Starting Life in Another World, Fate/Grand Order and more. A special talk show centered around sake and Kyoto will also take place at the Tokyo International Manga Museum on September 16 to celebrate the release of ‘Kiriko,’ a new ginjo sake with no added alcohol (called junmai ginjo sake in Japanese) made in collaboration with Japanese voice actress Eriko Nakamura and Shiraito Brewery. Kiriko is a Japanese sake brewed in Kyoto by Shiraito who based the drink on the image of Eriko Nakamura. Full details regarding the booths and schedule are available on the event’s official website. Excitement is growing for this year’s return of west Japan’s biggest anime and manga festival!